Monday, August 12: Ailsa’s Travel Theme (Where’s my backpack?) for this week is architecture. I’ve been having a bit of a hard time with this one because it’s such a broad theme. As a matter of fact, I would say my entire trip through Spain and Portugal this summer was about the architecture (and the food! 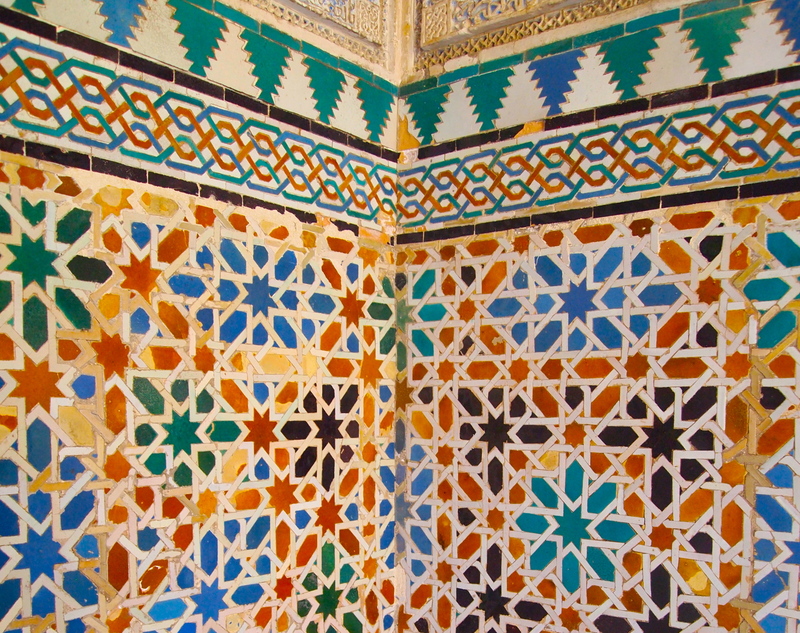 ), so you could look at my entire travelogue to see some amazing architecture. For this challenge, I’m going to limit myself to three places, four photos. These are some of my favorites, but are of course not all-inclusive! 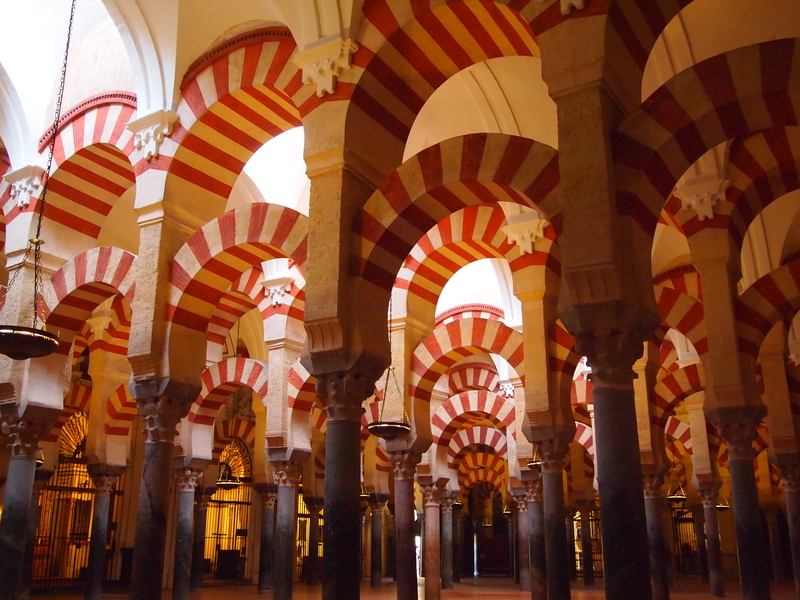 First choice, hands down, Cordoba’s Mezquita. 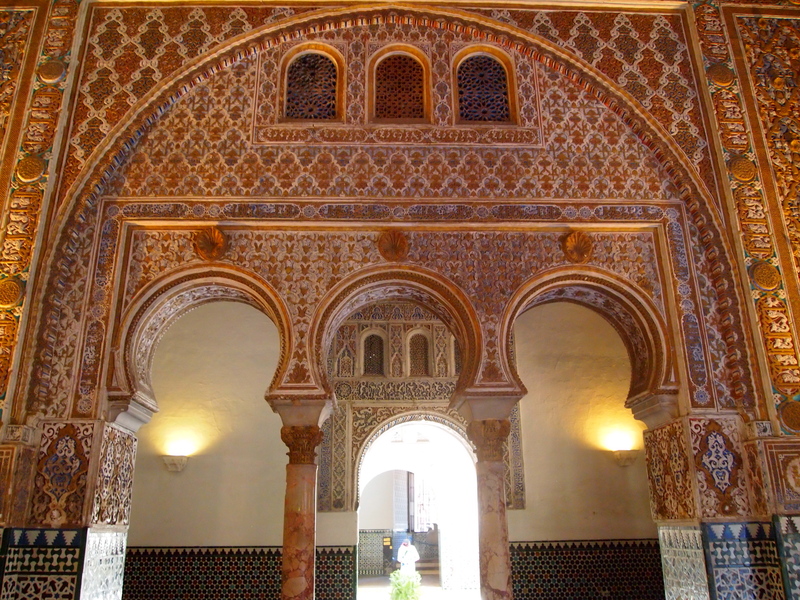 To see lots more pictures, you can check out my post: andalucía: córdoba’s stunning mezquita. 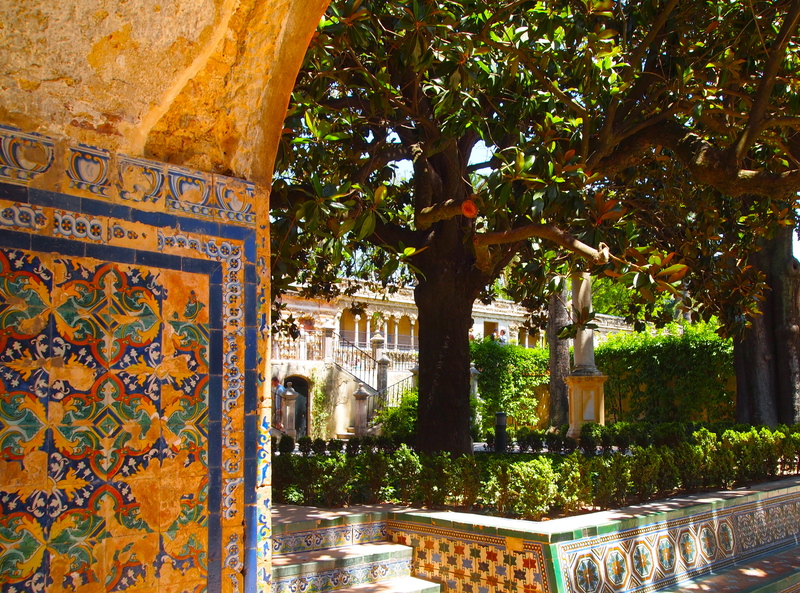 Second choice, Seville’s Alcázar. 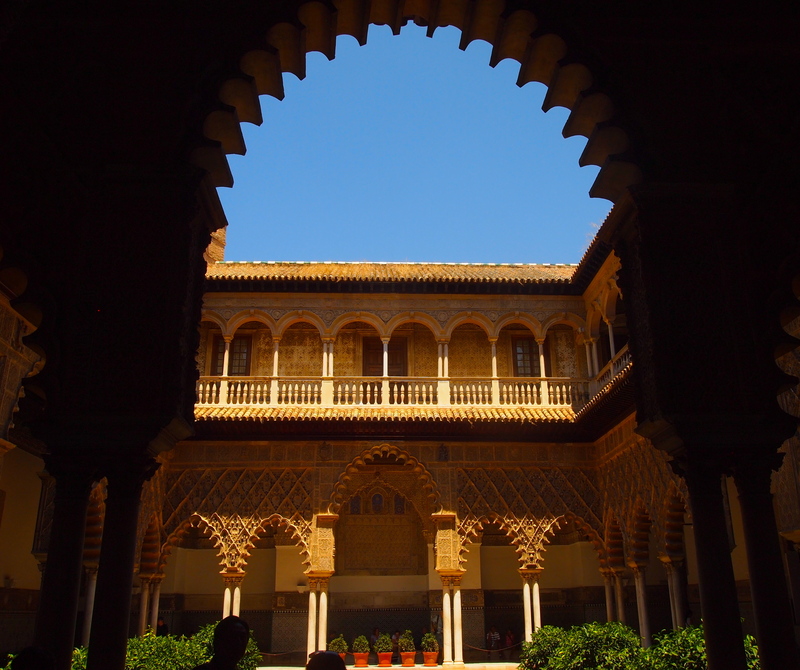 If you’d like to see more, you can visit: the alcázar in seville. 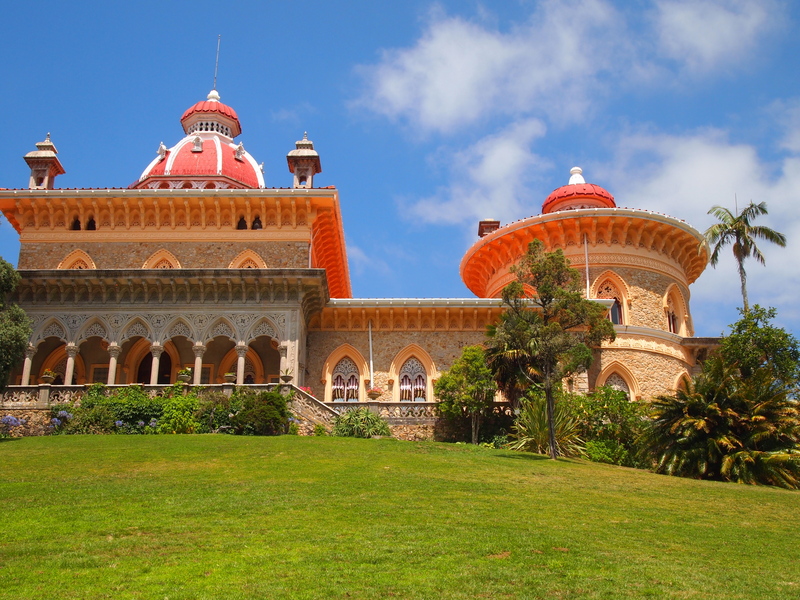 And finally, I have to include at least one place from beautiful Sintra, in Portugal: the gorgeous Palace of Monserrate. 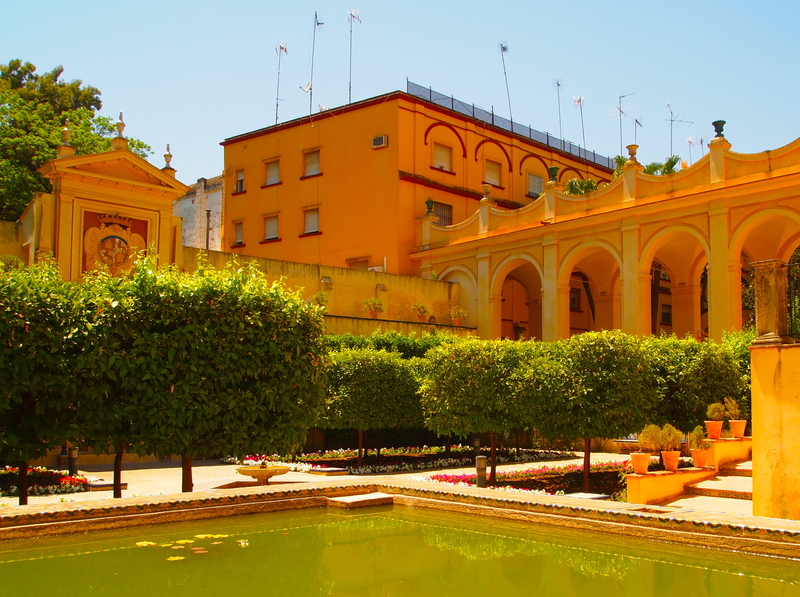 Monday, July 8: I head to Seville’s intriguing Alcázar and its extensive gardens in hopes of finding some relief from the 43 degree heat. Sadly, I find there is no relief to be found anywhere on its grounds or in the shade of its gorgeous arches. 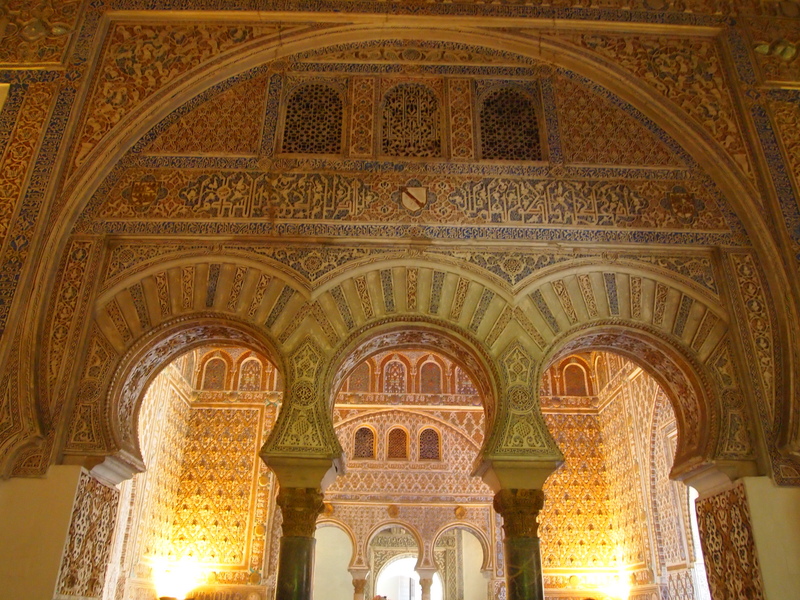 However, it is stunningly beautiful despite the miserable weather in summertime Seville. 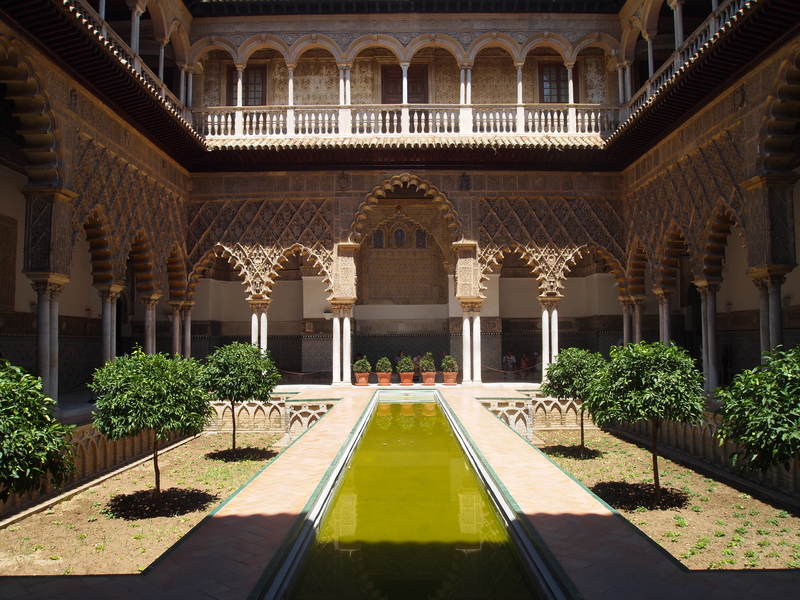 The original nucleus of the Alcázar was constructed in the 10th century as the palace of the Muslim governor, and is used even today as the Spanish royal family’s residence in this city, thereby retaining the same purpose for which it was originally intended: as a residence of monarchs and heads of state. Built and rebuilt from the early Middle Ages right up to our times, it consists of a group of palatial buildings and extensive gardens. 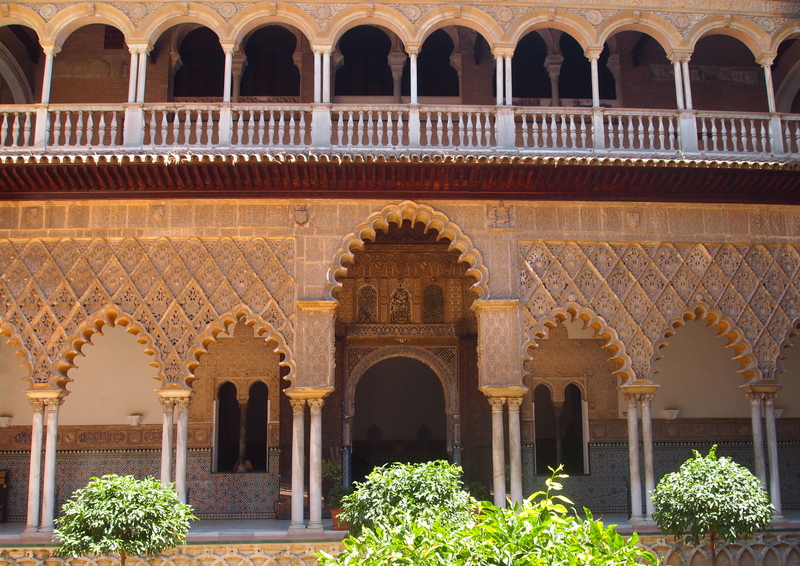 The Alcázar embraces a rare compendium of cultures where areas of the original Almohad palace – such as the “Patio del Yeso” or the “Jardines del Crucero” – coexist with the Palacio de Pedro I representing Spanish Mudejar art, together with other constructions displaying every cultural style from the Renaissance to the Neoclassical. I wander around the gardens for a good long while, as they are expansive, but I find it unbearably hot as it’s mid-afternoon and the sun is relentless. 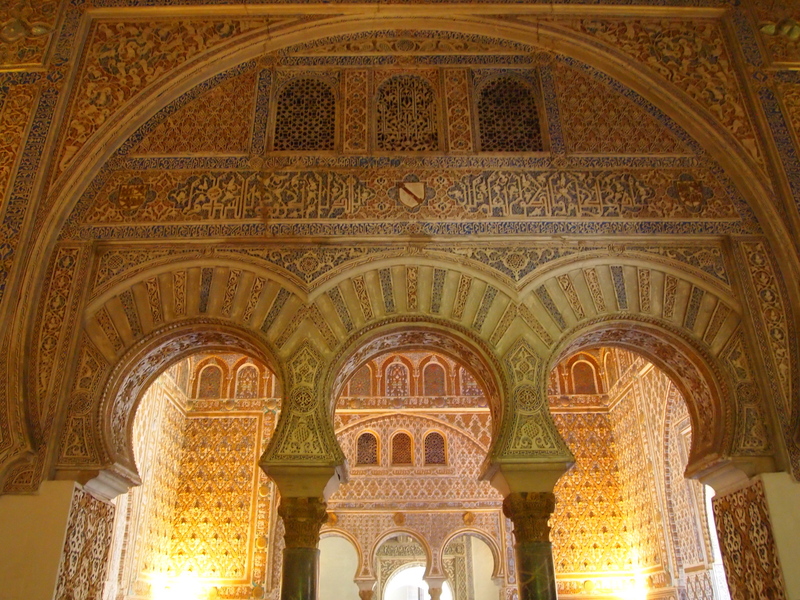 When I wander into the Palacio de Don Pedro, I’m awestruck by the amazing arches and tilework. In my eyes, this architecture is some of the most beautiful in the world. 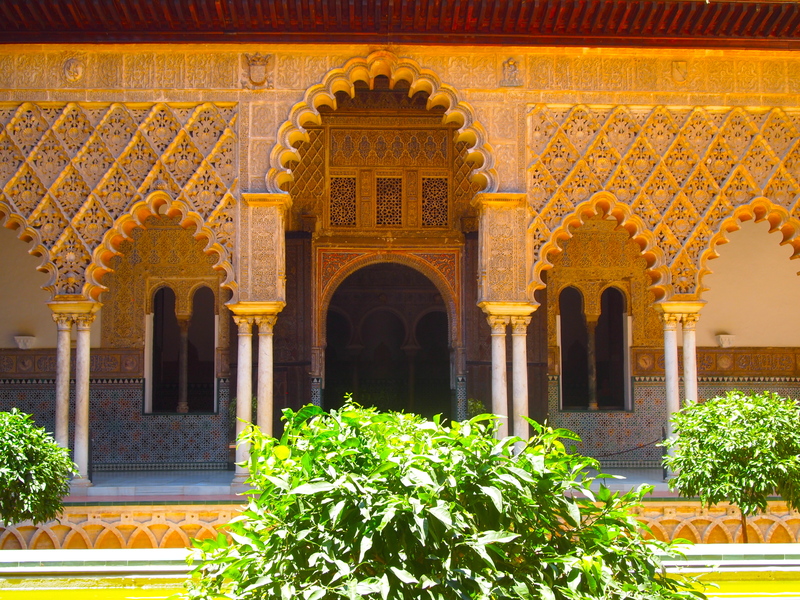 The Alcázar has been expanded and rebuilt many times in the 11 centuries of its existence. 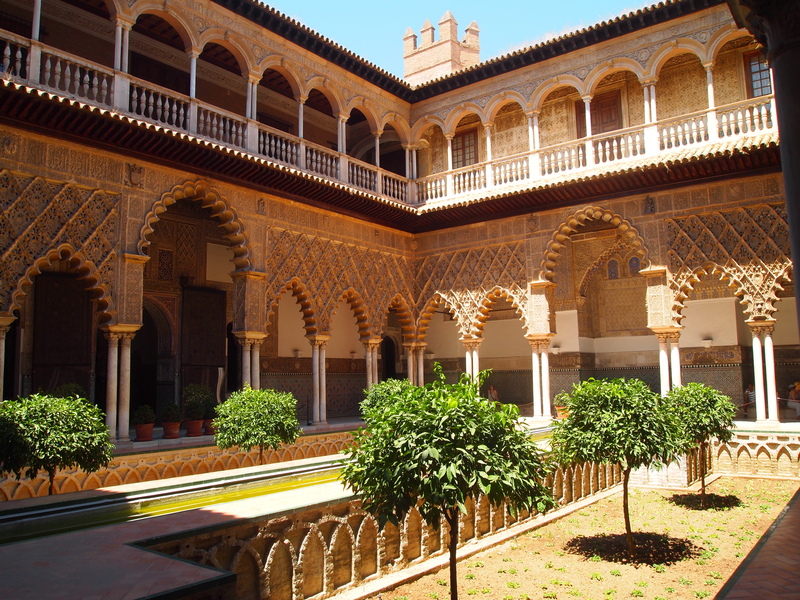 Ferdinand and Isabella, the Catholic Monarchs, stayed here in the 1480s as they prepared for the conquest of Cordoba. Later rulers created the lovely gardens. 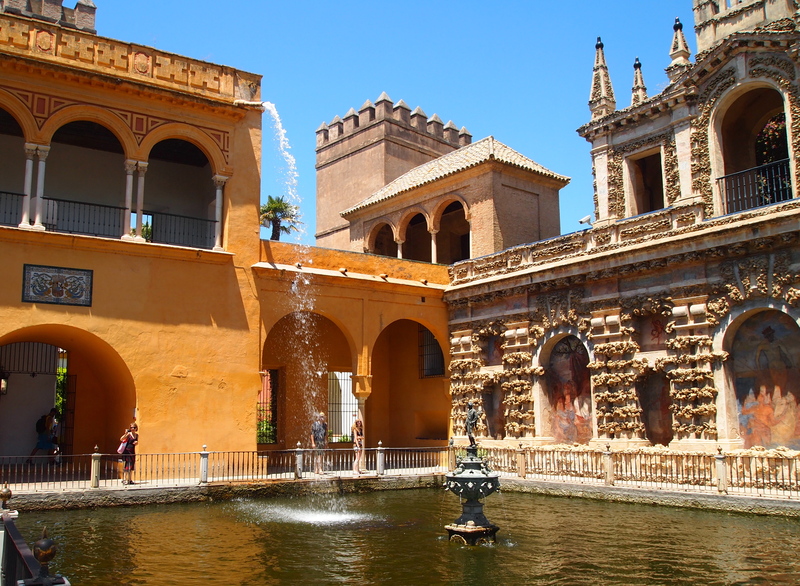 The Placio de Don Pedro, also known as the Mudejar Palace, was built by Pedro I between 1360 and 1364. 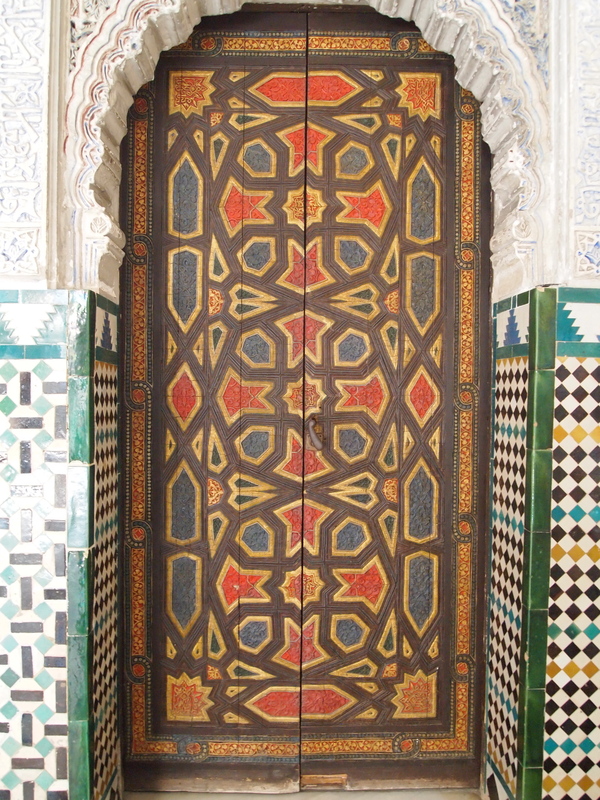 He built it in “perishable” ceramics, plaster and wood, following the Quran’s prohibition against “eternal” structures, reserved for the creator. 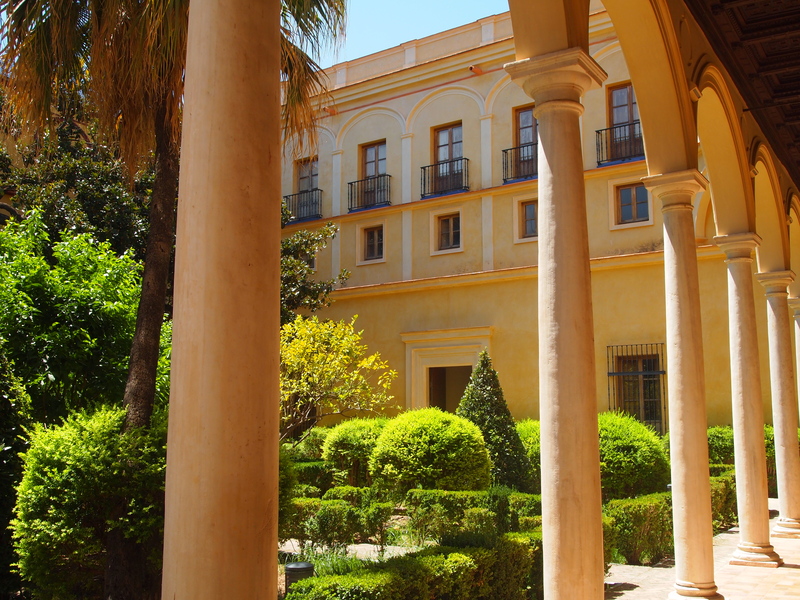 At the heart of the palace is the Patio de las Doncellas (Patio of the Maidens) surrounded by beautiful arches, plasterwork and tiling. 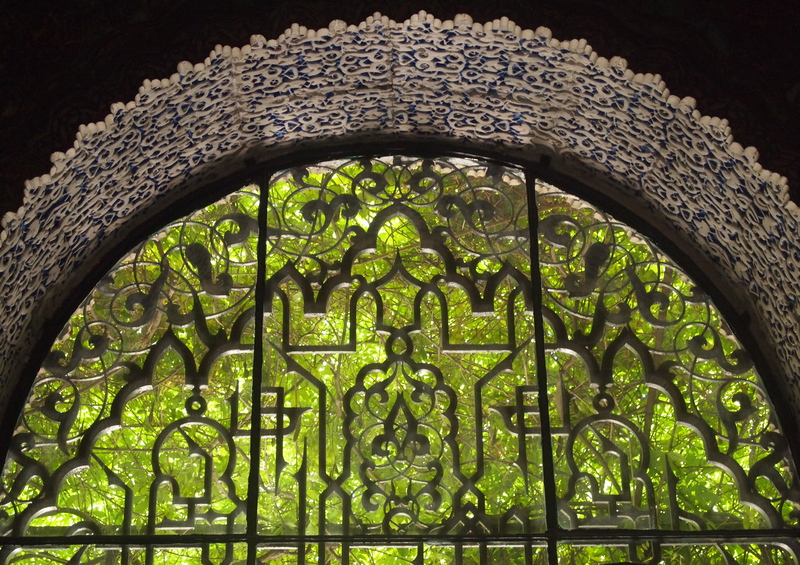 The Patio de las Munecas (Patio of the Dolls) has delicate Granada-style decoration, brought here from the Alhambra in the 19th century (Lonely Planet Spain). 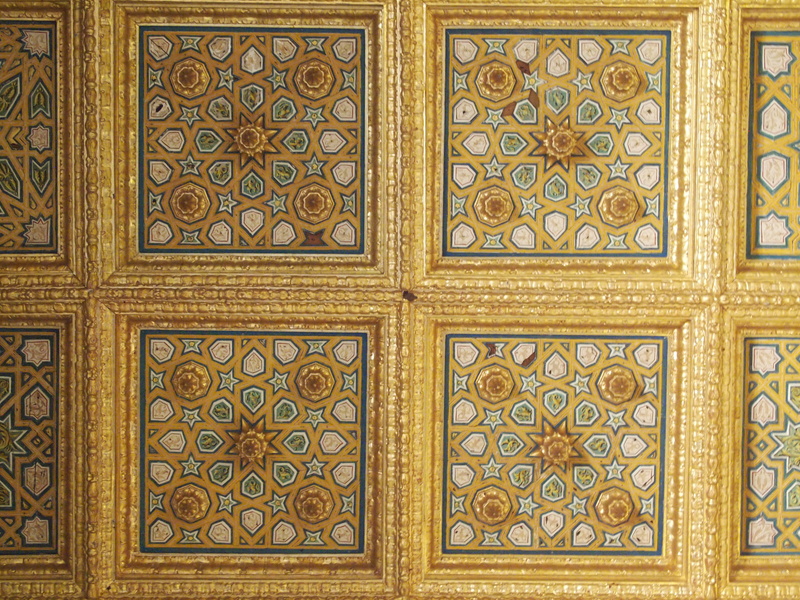 These are my favorite parts of the palace by far. I meet Australian Barry near this gate; he looks as hot and wilted as I feel. He’s looking for Carole, who has wandered off somewhere. 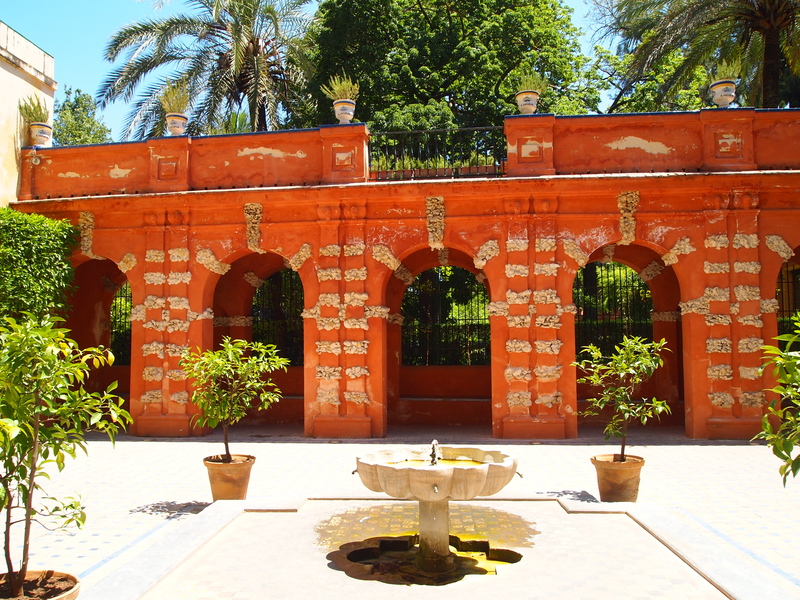 When I finish my visit of the Alcázar, I go in search of a cafe where I can sit in the shade and have a cool drink. I find Carole and Barry sitting at a cafe near a fountain, and I join them for agua con gas, sparkling water, the only answer to the heat in Seville. 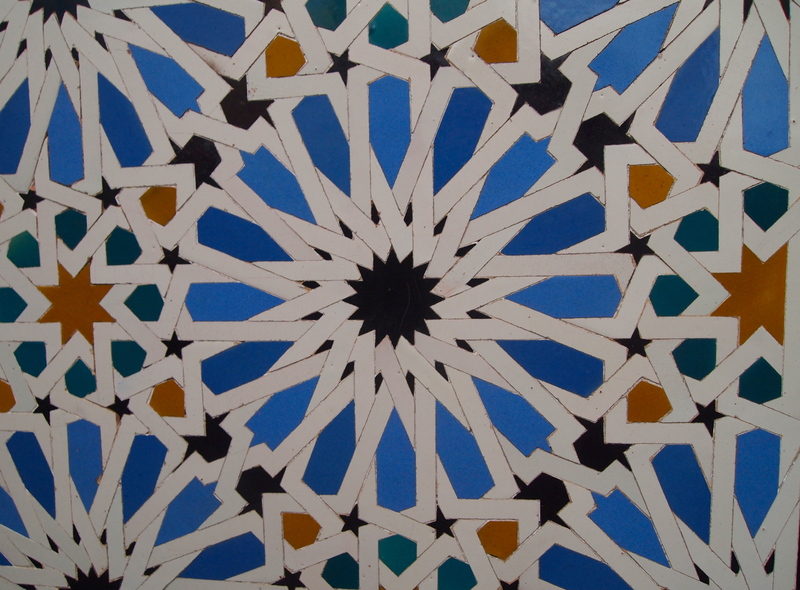 Tuesday, June 11: I’ve planned my time in Spain, but, so far, I haven’t even begun to think of Portugal. I know I better start thinking about it soon because I have to fly out of Lisbon on July 25. Here’s my itinerary so far. I decided to skip Madrid altogether. July 3-6: Toledo, Spain. I’ll be staying at La Posada de Manolo. Last summer when I was traveling in Greece, I met an inspiring South African lady, Marie-Claire. She had come to Greece after traveling all over Europe, but especially in Spain and Portugal. She highly recommended I stay more than one day in Toledo. 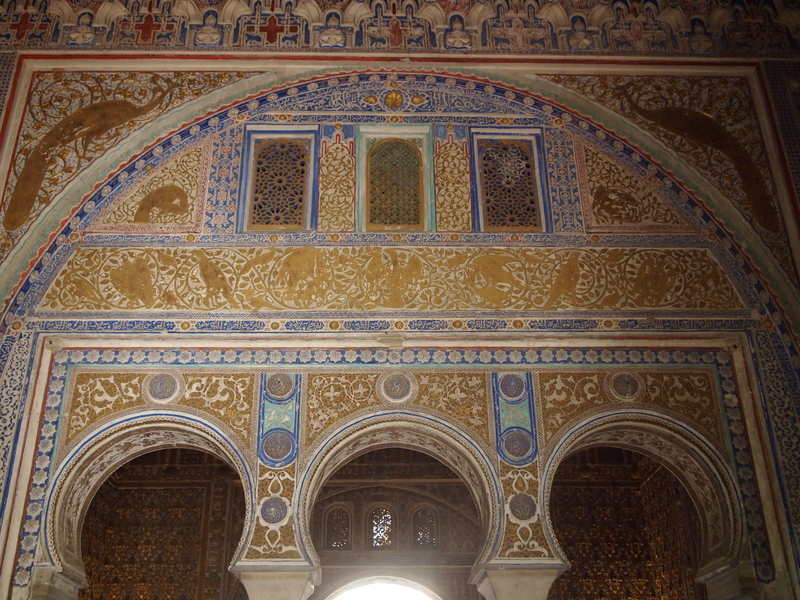 Since I have a small group tour lined up in Andalucia from July 6-12, I booked 3 days/4 nights in Toledo. 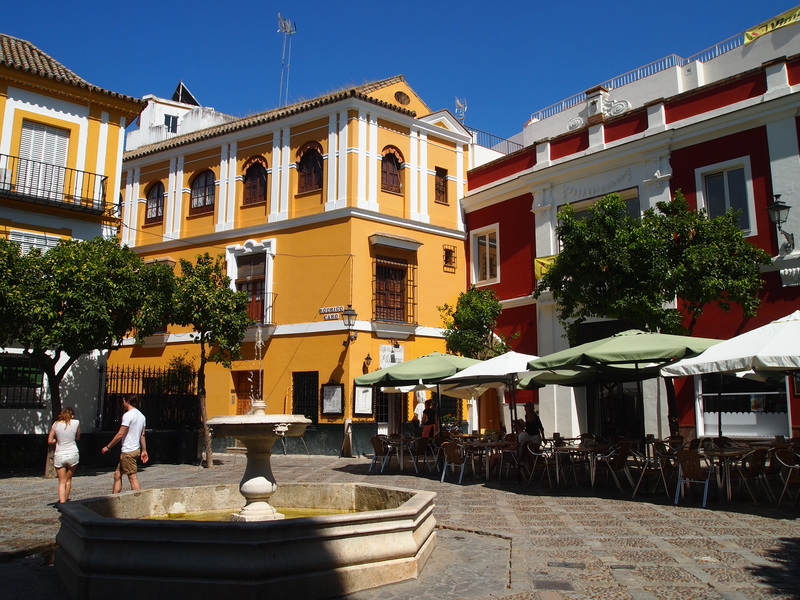 Meet at Malaga Airport and subject to arrival time, spend a few hours in Mijas, a lovely mountain village overlooking the Mediterranean, then travel and check in to the Villa. Breakfast and travel to Seville. 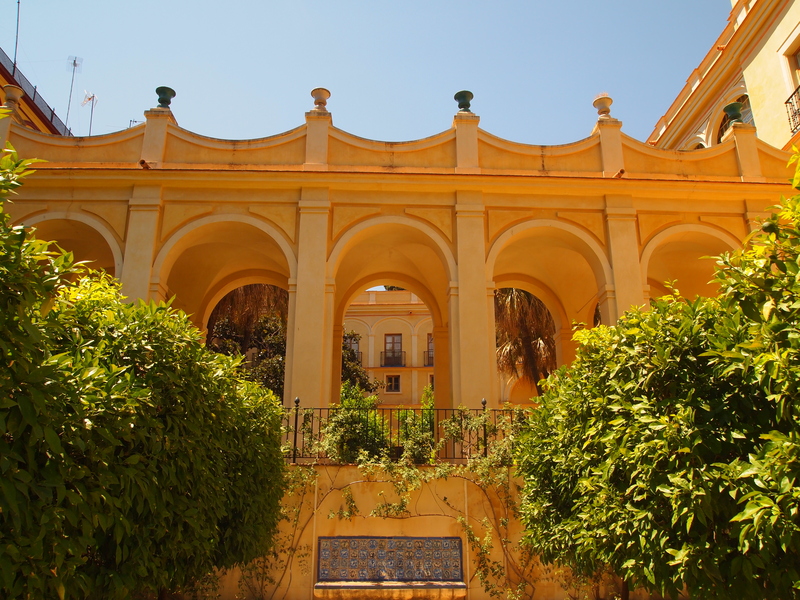 Visit the Santa Maria Park to see the amazing Plaza Espana, the site of the American Exhibition of 1929. 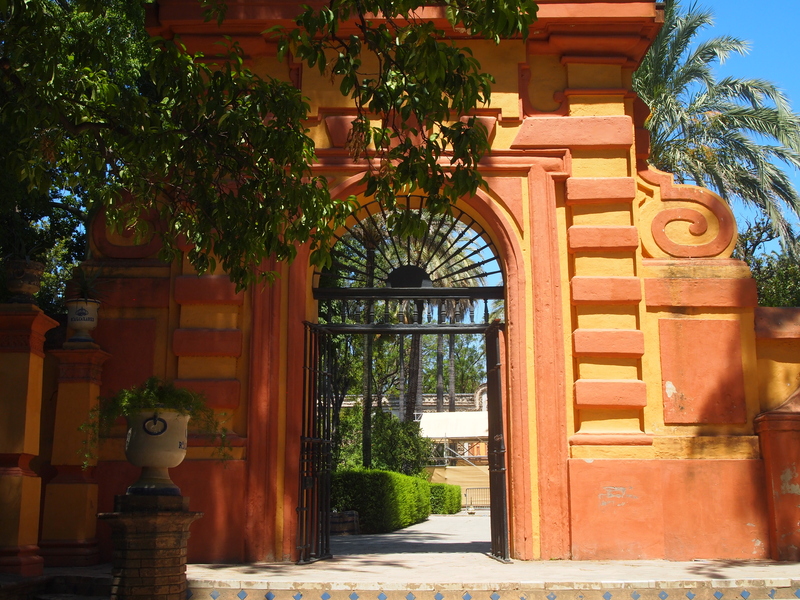 Walk from the park past some of Seville’s most historic buildings to the Barrio Santa Cruz. 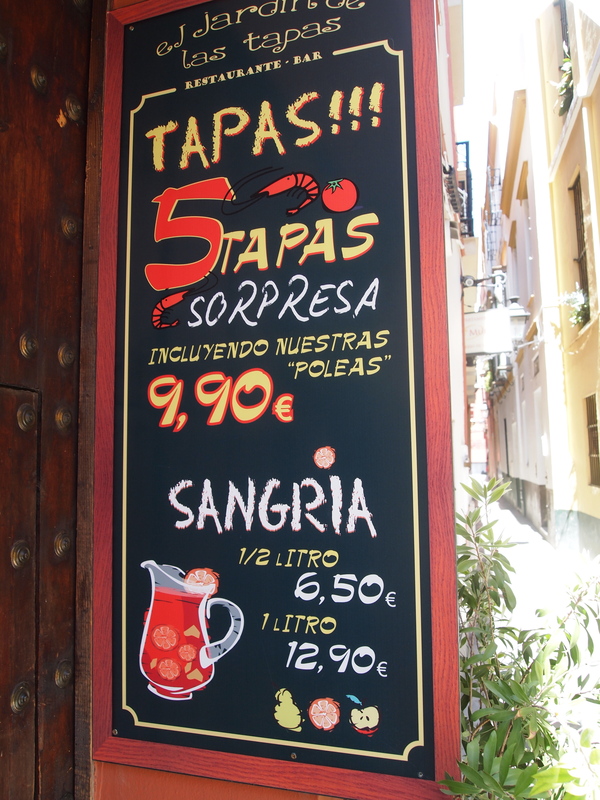 Wander through the narrow lanes of the Barrio and take a delicious tapas lunch ‘Seville style’ in one of the lovely small Plazas. 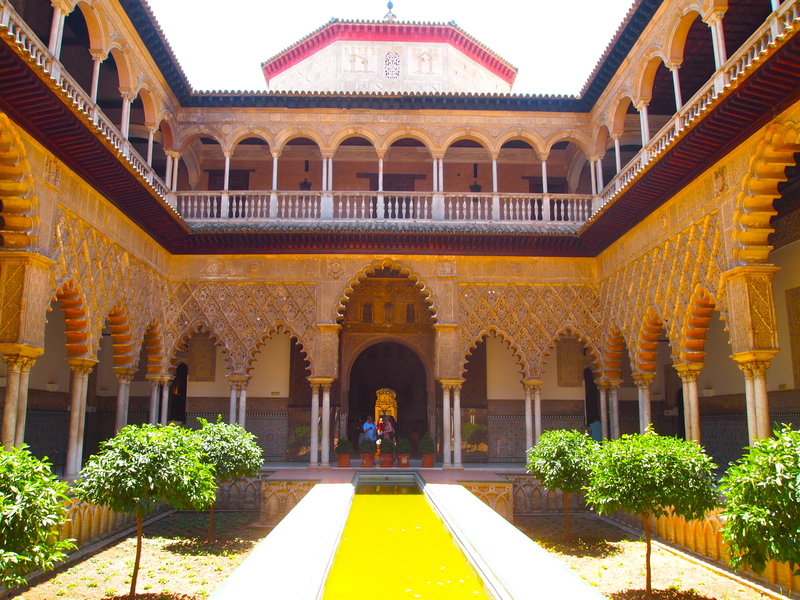 In the afternoon visit the largest Cathedral in the world followed by the fabulous Alcazar, one of the oldest Royal Palaces in Europe. 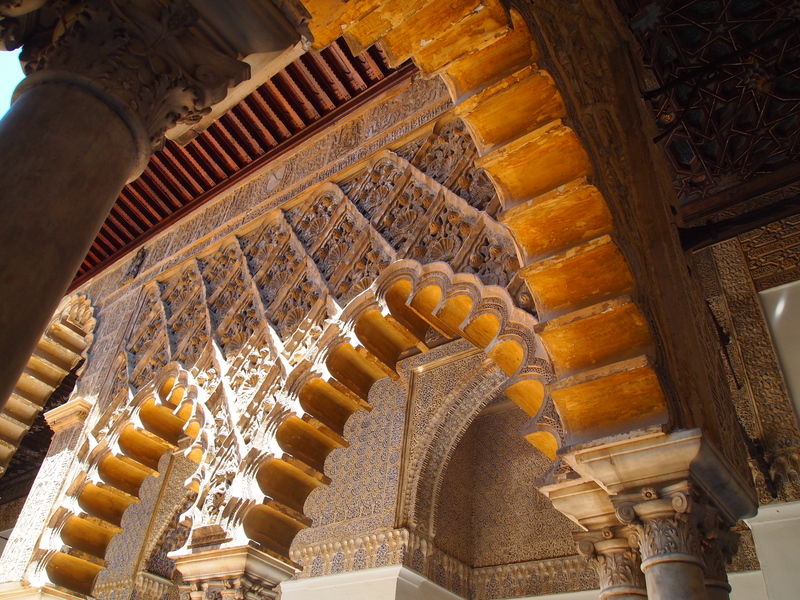 An elegant City, Seville was once one of the wealthiest in Europe. Breakfast and travel to Ronda. One the way, we stop at the historic site of Teba Castle, scene of a famous battle with the Moors. In Ronda we walk you into the town and leave you by the magnificent bridge over the gorge to explore and sightsee on your own. Maybe take a ride around the old town in horse-drawn carriages and wonder at the sheer magnificence of the town perched along the cliff top of the Tajo gorge. 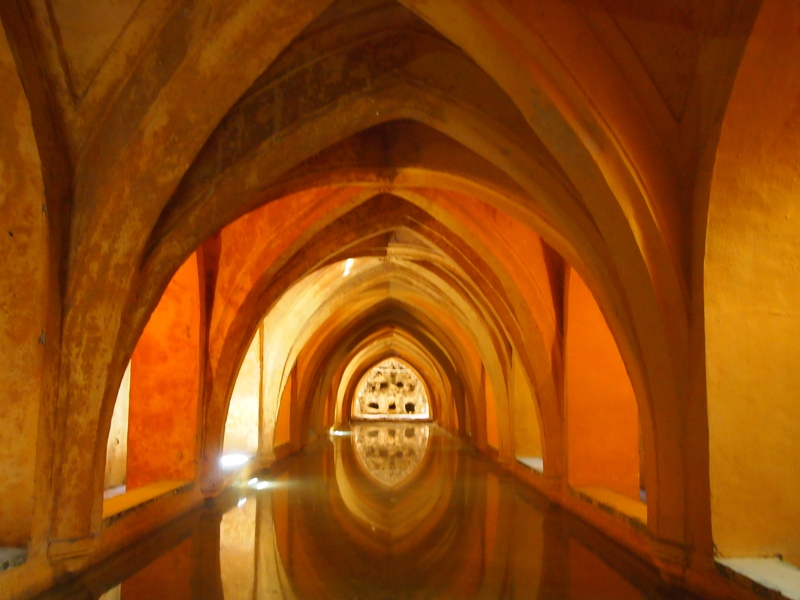 Wander through the elegant narrow streets of the old town and visit some of the magnificent houses and the museum of Ronda. 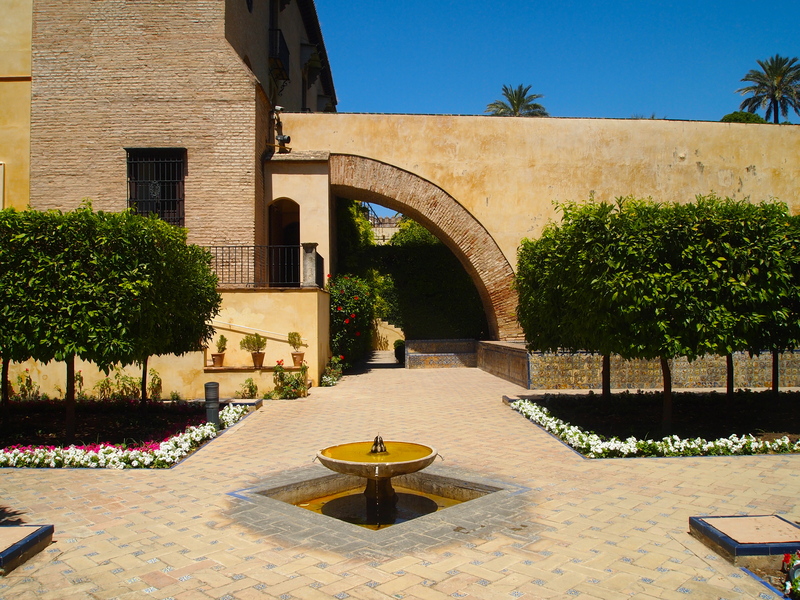 Visit the famous Ronda bullring home of the Matador and the oldest in Spain, now a museum. Breakfast and travel to Malaga. On the way we visit the spectacular El Torcal National Park. Set high in the mountains there is a 45 minute walk through the amazing limestone formations. Arriving in Malaga at lunch hour we go to one of the great value seafood Chiringuitos by the sea. Sample fantastic sardines barbequed on an olive wood fire next to the Mediterranean. 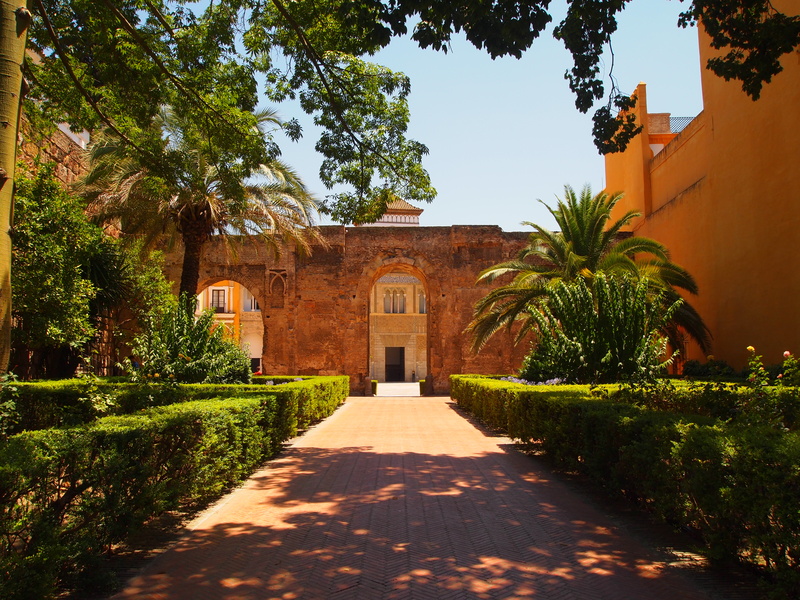 We take you into the centre of Malaga near the Cathedral and leave you to explore the town, maybe visiting the magnificent Cathedral, the large Moorish Alcazaba and Roman Theatre. And don’t forget the Picasso Museum since Picasso was born locally and his parents’ house is now the Picasso Foundation and open for visits. Breakfast and travel to Cordoba. 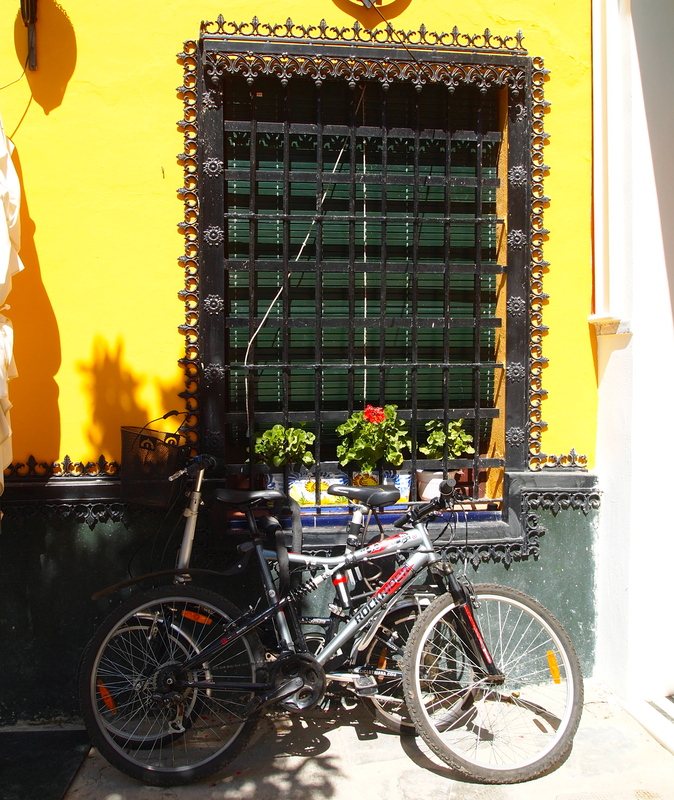 We walk through the old City Walls and into the pretty Barrio San Basilio and see one of the typical patios that Cordoba is famous for. 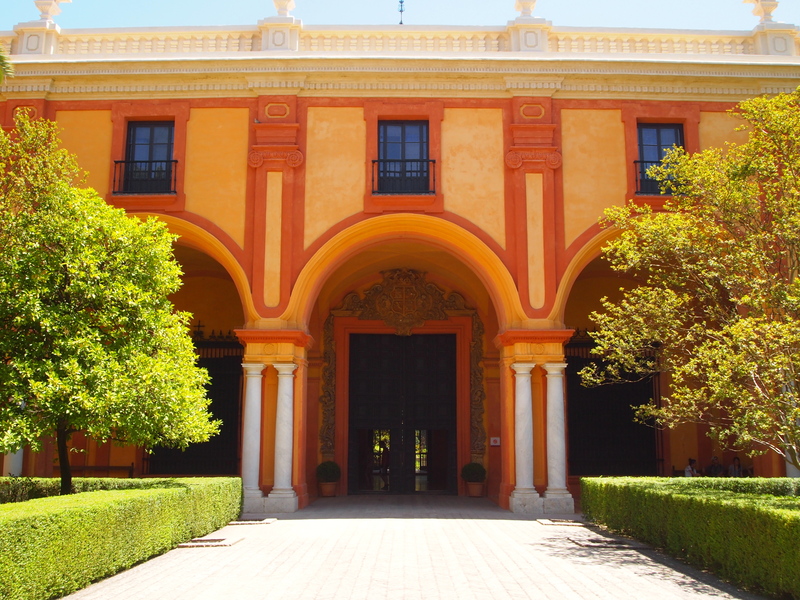 The Royal Stables shows us some of the famous Andalucian horses in a lovely set of buildings. 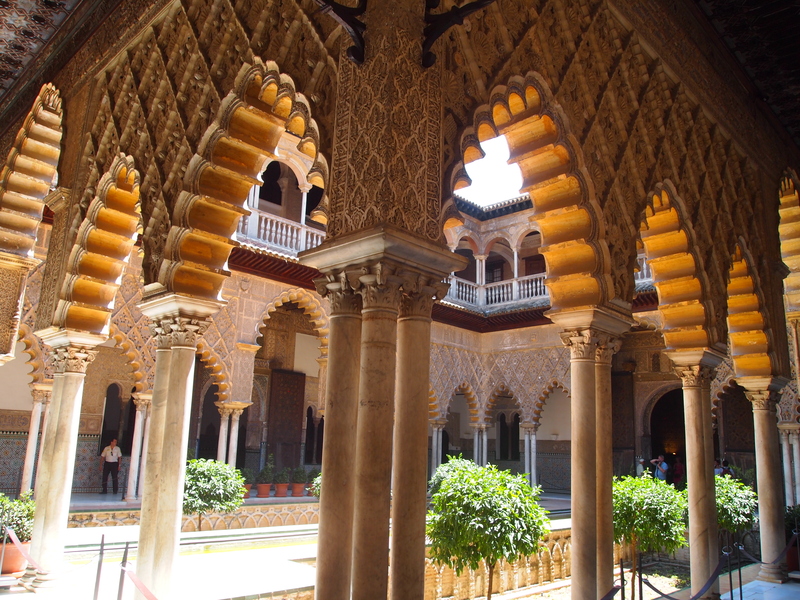 Onto the Christian Alcazar, nowhere near as grand as Seville, but designed in the Mudajar style, a fusion of Moorish and Christian Gothic and the scene of famous historic events including the planning of the voyage of Columbus. 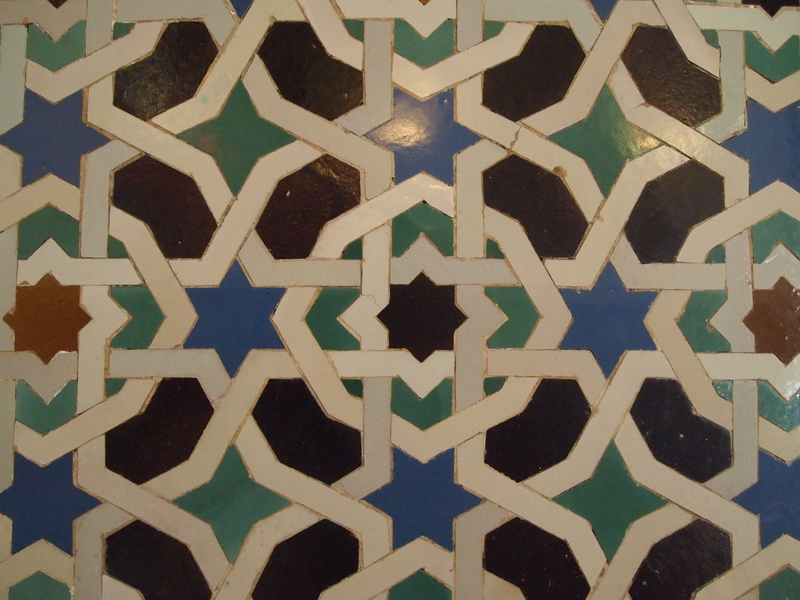 The 1,000 year old Arab baths built for the Caliphs remind us of a society long gone and we wander through the Juderia visiting the old Jewish Market & the Synagogue. 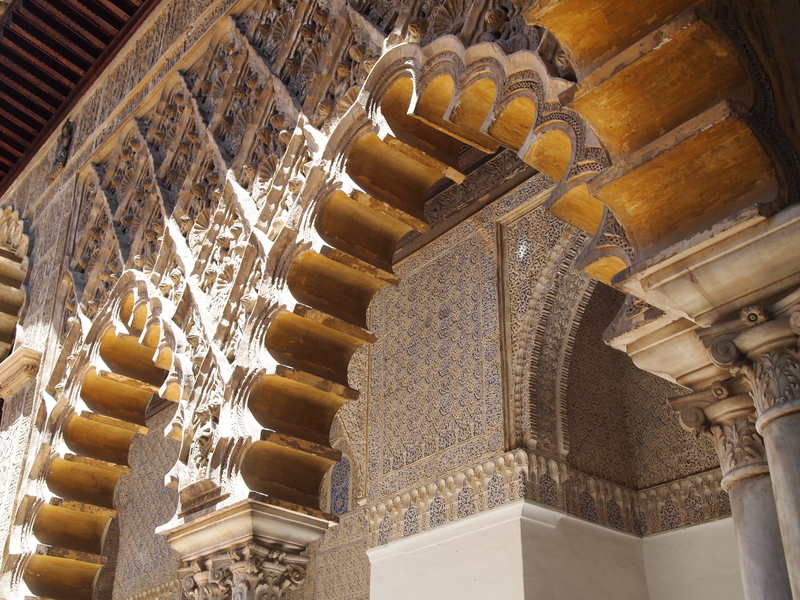 A great tapas lunch in the Bodega Mesquita followed by the highlight of the day, the spectacular Mesquita, the greatest Mosque in the Western World and the only one with a Cathedral right in the centre of it. The famous Puente Romano bridge awaits demonstrating why Cordoba was the capital of the Roman empire in the Iberian Peninsula. Breakfast and travel to Granada. Normally the highlight of our tour, we walk into the Bib Rambla, part of the old Silk Market and now the Flower Market of Granada. Here we suggest you sample some of the best Chocolate and Churros in Andalucia. Walking through the square we pass the Bishops Palace and walk into the Alcaiceria, the well-preserved old silk market. 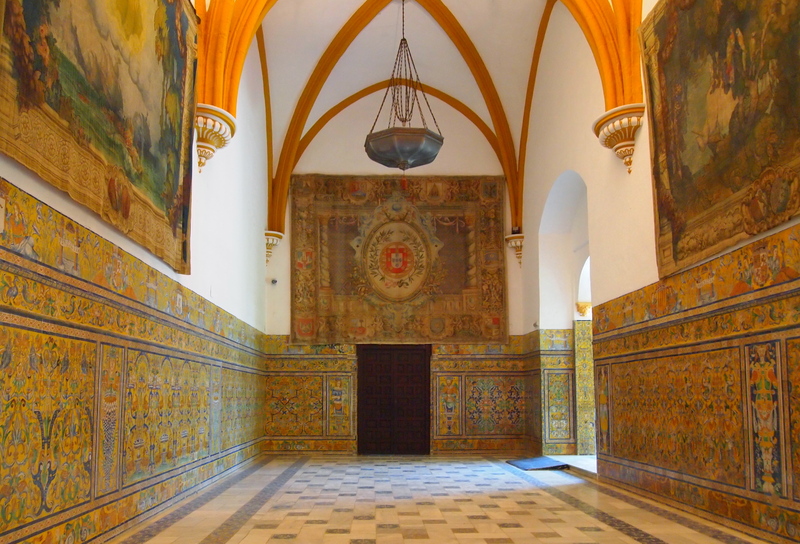 The Royal Chapel, commissioned as the burial site for the famous ‘Catholic Monarchs’ Ferdinand and Isabella, is now a museum and worth a visit. The beautiful Cathedral is one of the lightest inside that you will see. Have a light lunch and then we drive up to the Alhambra to spend a few hours wandering the gardens and buildings before entering the amazing Nasrid Palaces. After the visit we drive around the City and up to the top of the atmospheric Albaycin where we have dinner at Jardines de Zoraya who host an excellent Flamenco performance with local talented young musicians and dancers. A five-minute ‘after dinner’ walk takes us to the viewing point at San Nichols where we see the beauty of the Alhambra lit up at night set against the backdrop of the Sierra Nevada mountains. 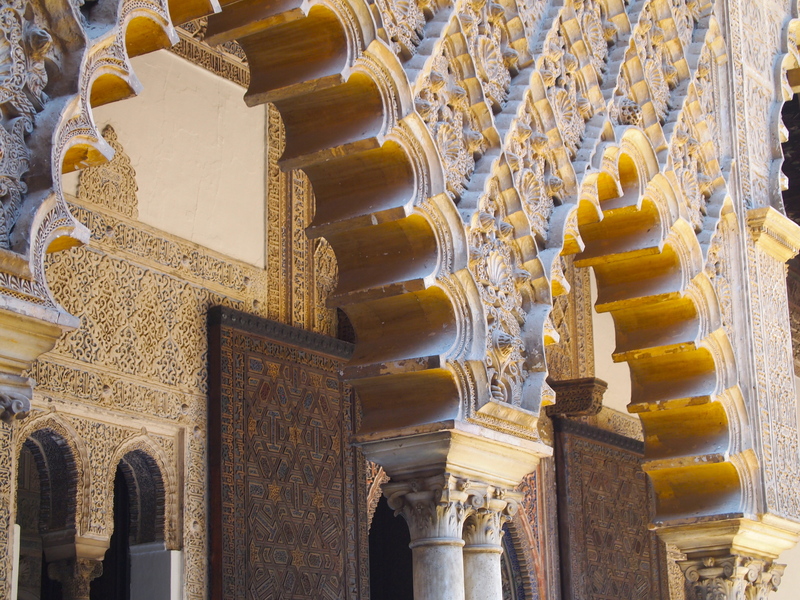 Breakfast and, subject to departure flight times, we visit the historic City of Antequera, home of the impressive 5,000 year old Dolmens and the first Alcazaba to fall in the reconquest of the kingdom of Granada. Return to Malaga Airport. 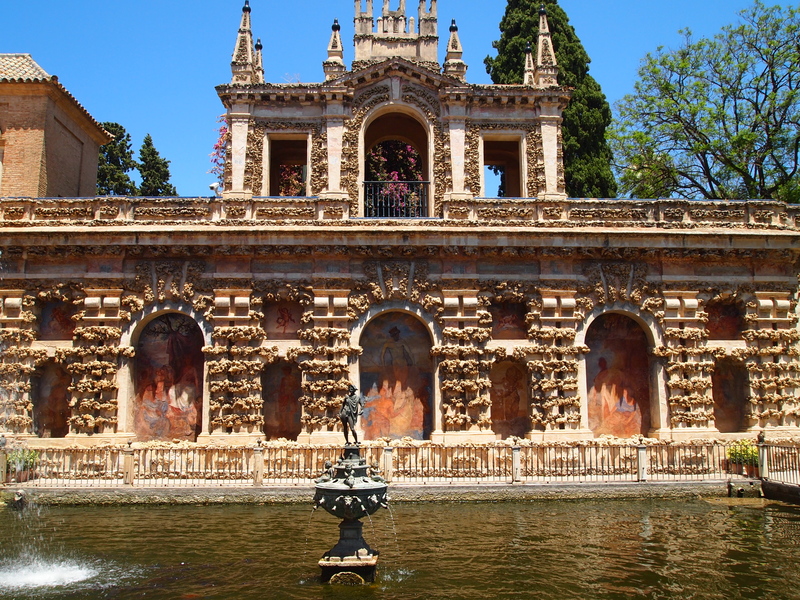 July 12-14: After my tour, I’ve been invited to spend two nights with Marianne, and her husband, of East of Málaga …. and more!. She lives in the countryside (el campo), in a beautiful area east of Málaga, known as La Axarquía. I’m really excited to meet a fellow blogger who now makes her home in the south of Spain.